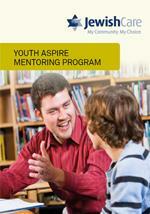 We offer two mentoring programs for young people - The Young Achievers Program (YAP) and Youth Aspire Mentoring Program. Both programs match young people with adult mentors from within our community who are committed to supporting and encouraging participants to achieve their goals. Participants also have opportunities to attend a range of workshops to learn fun and exciting skills throughout the year and receive academic scholarships of up to $500. Conditions apply. 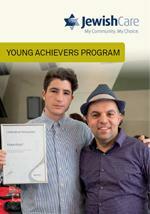 The Young Achievers Program is a group-based mentoring and skills development program for Jewish students between the ages of 15-18 from non-Jewish and Jewish schools. The program welcomes Jewish students who are motivated and driven to achieve. There is no cost involved. The program is generously sponsored by private donors. I think some of the greatest things to come out of the program are the workshops. These experiences really help push one's boundaries to become a complete person. Our Youth Aspire Mentoring Program provides an individualised mentoring program to young people who are experiencing, or at risk of experiencing personal or familial complexities or challenges. The year-long program is aimed at young Jewish people between the ages of 14-18 with special consideration given to those under 14 years of age. With the focus on keeping young people connected to education, work and community, this mentoring initiative provides young people with the support and guidance of a mentor, alongside financial capacity to pursue individual endeavours that help them to achieve their goals. There is no cost involved. The program is generously sponsored by private donors. Jewish Care was accredited by the Australian Childhood Foundation under the Safeguarding Children Program in June 2016, and became the first provider of its kind to have undertaken and gained this accreditation in Australia. This accreditation reaffirms Jewish Care’s strong commitment to the Safeguarding Children Program. The Safeguarding Children Program is a unique voluntary accreditation scheme for organisations who have a duty of care to children and young people whilst delivering a service or activity to them and/or their families. The Program systematically builds the capacity of organisations to keep children and young people safe from abuse and exploitation by staff, volunteers or other relevant related individuals. 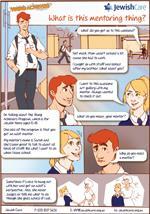 What Is This Mentoring Thing?